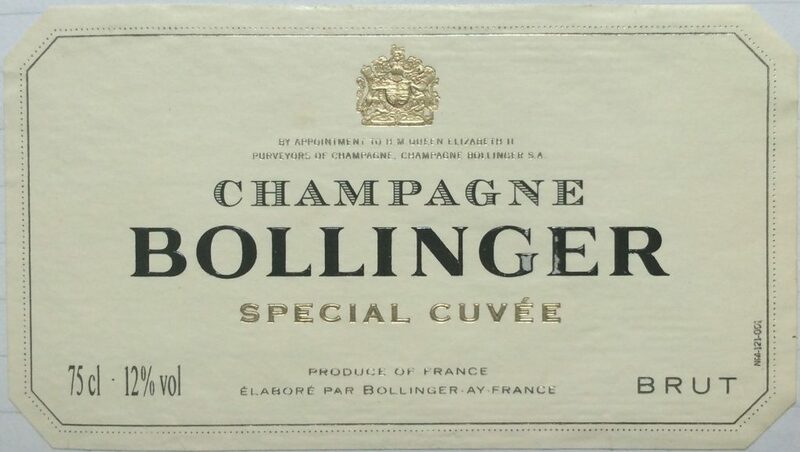 Always heard a lot of good things about Bollinger NV – often as the best Grande Marque NV Champagne, but never got around to finding out until July 2002. It is a Champagne that lives up to its reputation. Particularly felt very well balanced to me – between fruitiness, body and acidity. Strawberry fruity aromas on the nose without much bready or toasty aromas suggested a high proportion of red grapes – turned out to be only 15% Chardonnay – so felt very smug… Pale straw with small bubbles and balanced acid and flavour. Very pleasant. But… doesn’t overall justify £27+ per bottle. For quality / price of a Grande Marque, I’d take Taittinger.